Hi Folks. I'm a mom of a diver from Canada. I got a referral from a friend of mine who knew Rick. I called him and was a little skeptical about paying and hiring Rick. After I called him I was impressed and thrilled to hear about his expertise. The moment I signed with American College Connection the emails started to pour in. The calls started. I couldn't believe it. I heard other parents saying they use YouTube and other ideas. I'm so happy that I didn't do that route. We heard from a lot of great schools. Tons of them. From that moment on Rick and his great team were there to help Tereza and I go down this crazy adventure. He guided us and gave us wonderful advice. 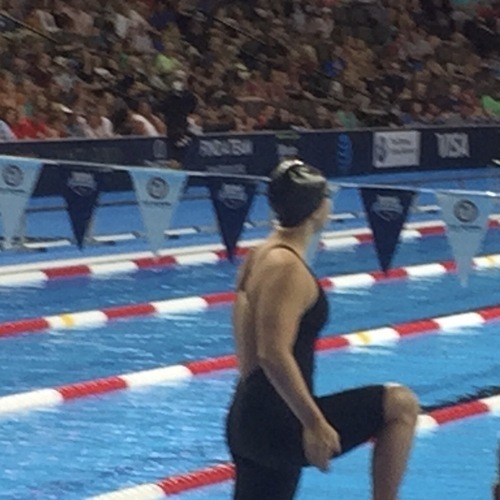 Coach Sybesma has been regarded as one of the finest coaches in college swimming for many years. 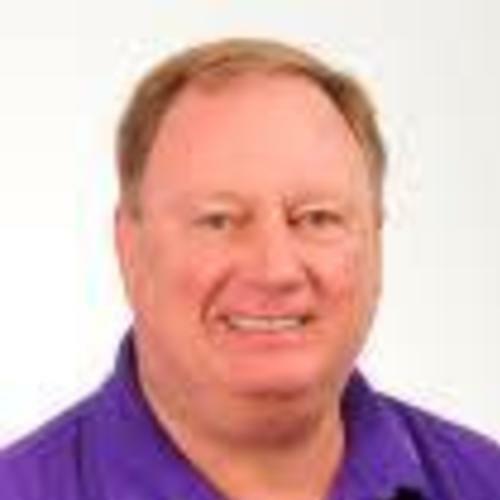 He is the longest tenured coach at TCU- 38 years. He was an Olympic Head Coach in 1996 and he was a 7 time Conference Coach of the Year in two different conferences. The money we spent on recruiting with ACC was well worth it and ended up paying for itself in scholarship money. I want to thank you for all you have done to help my daughter, Anna. Lori and Rick were invaluable in the work they did to help Anna secure a spot on Colorado School of Mines swim team. I must admit that I came to the table a little late at the end of her junior year of high school. I was very unaware of the time and effort it takes to find not only the right college but also the right team for my daughter. By the time I found ACC, I was completely overwhelmed and needless to say, in over my head. The money we spent on recruiting with ACC was well worth it and ended up paying for itself in scholarship money. By the time Anna finished her profile on their site, she had a little over 80 coaches from around the country contacting her. Lori helped tremendously in narrowing those opportunities and in finding a team that would not only suit her athletic ability but would also fit with her academic goals. Unfortunately, Anna sustained an injury during her senior year. Lori kept in contact with us through the recovery process and helped with advice and encouragement. I am not sure what the outcome would have been without ACC. If I had to do it over again, I would do the exact same thing (just sooner). Thank you, Rick and Lori! Thank you, Lori and ACC! 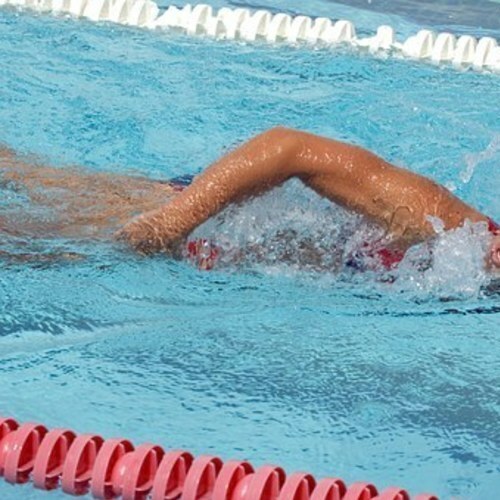 My daughter, Kara, only decided to continue to swim in college at the beginning of her junior year in high school. We were not familiar with the collegiate athletic system at all and apprehensive about the process. Lori Payne’s introduction seminar shed some light on the process and immediately solidified our path forward. Lori was very patient and thorough in guiding Kara through the entire process. She was able to build trust with Kara and she is very upfront about setting realistic goals in finding the right fit for academic and swim programs. She was very responsive and encouraging. Without her and American College Connection Recruiting, we wouldn’t know how we could help Kara through the ups and downs of the recruiting. Best of all, she also enforced Kara’s work ethics of taking accountability for everything she does in the process. We couldn’t be happier that Kara committed to swim for MIT. Thank you, Lori and ACC! Our decision to work with Rick Paine and his team at ACC Recruits was undoubtedly the best decision we made. We have just completed the first part of that journey. We are delighted with the outcome. Our son recently made a verbal commitment to the University of Tennessee. We could not have done it without the advice and educational support of ACC. Our son was fortunate enough to have serious interest from numerous top Colleges. The interest and offers started virtually immediately and momentum increased significantly in 2017. A potentially arduous task of sifting through the various offers was made easy ....thanks to ACC!!! We subsequently reduced this to a short-list of 3 Colleges. ACC arranged for us to visit each College and Rick's practical advice (and wisdom) made the eventual experience a very enjoyable one. The benefit of having ACC in our corner cannot be overstated - we were able to focus on the key inputs for decision-making and the College Coaches have such a high regard for Rick, that our interactions were free of negotiation games. We enjoyed working with Lori Payne and ACC Recruits. She built a great relationship with our son and was always available to answer questions via text, email, and phone. Lori helped us understand the very complex process of recruitment to swim at the college level. 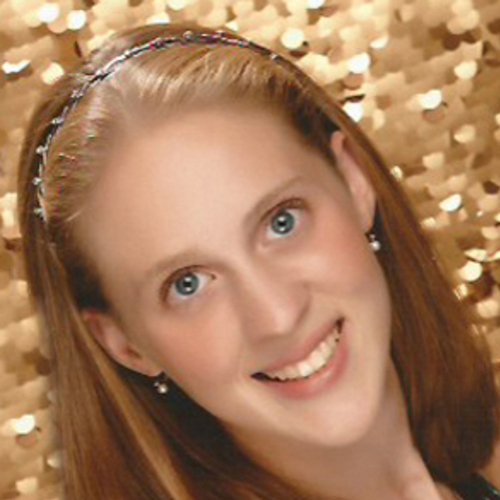 She helped our son contact coaches and was always willing to call them on his behalf. Lori was always up-to-date on his swim progress and even traveled to watch him swim live. Our son is thrilled with his plans to swim at Division 1 college in the fall. I just can't imagine how we could have done it without Rick Paine and American College Connection. As Canadians, the process is particularly overwhelming. At first, we attempted to take on the recruiting process by ourselves, but quickly realized that we were in way over our heads. Once we hit that wall, I called Rick, and immediately exhaled, knowing that ACC was the answer. Within a week, our daughter was flooded with a long list of interested colleges - which Rick helped her work through. 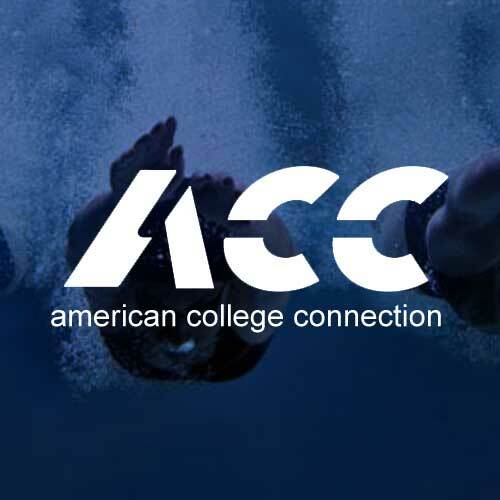 From academic advice to communication tips with coaches, ACC was instrumental in guiding our swimmer to find the perfect fit. We are delighted with the results. 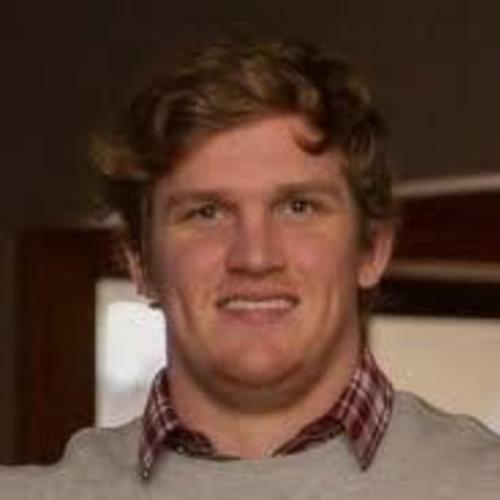 I would like to share our appreciation of American College Connection and especially Donny Brush. Donny was very helpful from the start. We knew that Donny was a former collegiate coach with IU and is a talented coach that loves the sport of swimming. Knowing that,my wife and I felt comfortable with Donny handling our daughter's college recruiting process. Our daughter Lauren and Donny worked together very well. 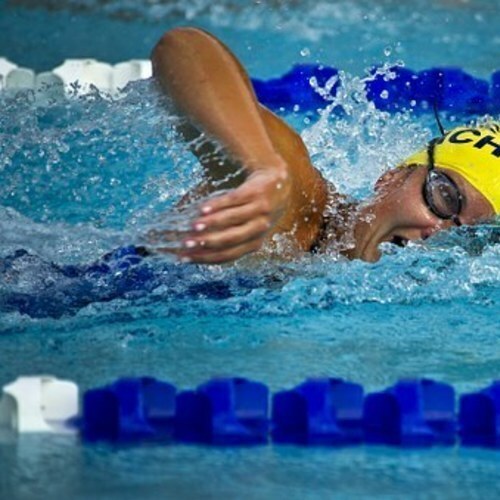 Our daughter had a lot of opportunities to swim at top colleges because she is a national swimmer. But that can create complex issues too. Distance from home, money, course choices , travel , campus safety, USA Swimming.... Donny knows personally every head coach at the colleges we were interested in and what they are good at coaching. Our daughter is an IMer so we were interested in coaches that would be good in IM. Donny will put your college bound swimmer where the fit is right if you trust his many years of experience. He has the best intentions. The price we paid for American College Connection was money well spent. We are so grateful to have found Rick Paine and ACC! Over the past 2 years, Rick has been a great source of accurate information, sage advice and enthusiastic support. He has taken the time to get to know our daughter and our family - what is important to us, her hopes and dreams, what motivates her in her academics and her swimming. As a result of this relationship, he was able to help our daughter work through an unexpected coach and team transition last year. His calm, wise words and his years of experience gave her confidence that she would be just fine. Rick has been there to help all of us in whatever way we needed, even when it wasn't directly related to the college recruiting process. Our daughter had a great junior year and attracted interest from many top college programs. Since Rick had already been working with us, she was well prepared to talk to coaches and to begin narrowing her focus so that she could manage the process instead of becoming stressed and overwhelmed by it. We are glad that we began working with Rick early so that she was ready when the coaches started contacting her. Because of his help, during her recruiting conversations she was able to present herself well to the coaches and gain valuable information about the colleges and teams. After that, she was able to decide which colleges she was still interested in and which did not seem to be a good fit. Rick advised her on how to convey that to the coaches in a sincere and positive way. Our daughter is very happy with the way she managed the recruiting process. 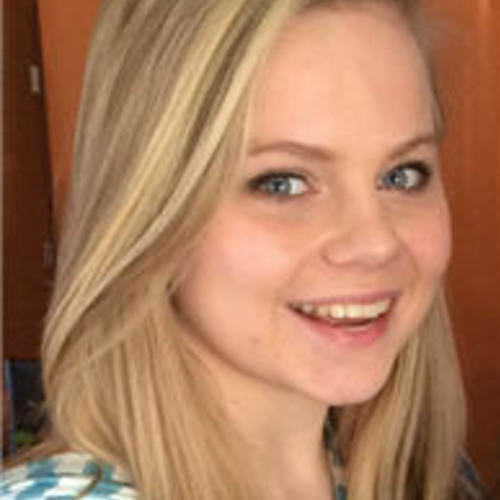 She was offered excellent scholarships at several top colleges, and it came down to a difficult choice between her top 2 schools. Again, Rick was there to talk her through the options to make the best decision for her. She ended up making an early verbal commitment in the late spring of her junior year. 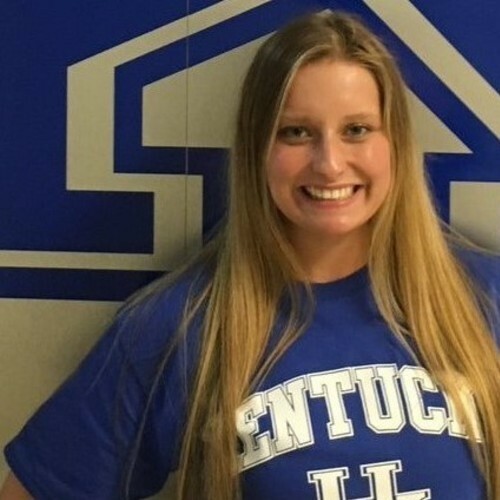 She is thrilled with her college choice and is enjoying a swim-focused summer without any recruiting distractions. Rick's help all along the way has made our daughter's college search process successful and smooth. We highly recommend Rick Paine and ACC! 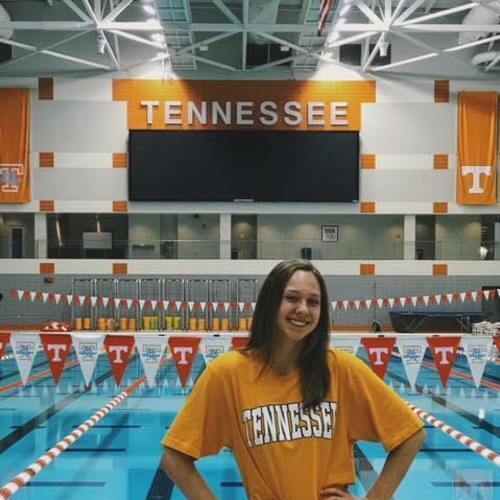 Within hours of signing up with Rick Paine and ACC Recruits, our swimmer received phone calls, emails, and texts from all over the country (because we were wide open!) expressing interest. The personal touch that Rick and his team provided was absolutely invaluable. It was obvious that he had a real relationship with these coaches and focused on those schools that would most closely fit with our daughter's goals. The confidence she gained from those contacts grew and she literally negotiated with coaches on her own, armed with the information provided by Rick and his team. Five stars! ACC is interested in the athlete and the person! Her first gala is this weekend, so we are all very excited to see how it goes. 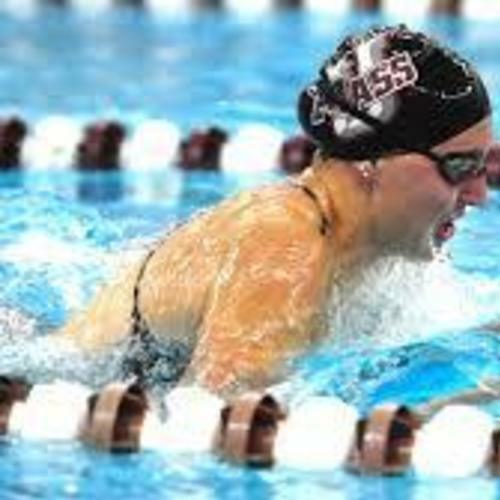 Without the assistance of Rick and America College Connection our daughter would not have received the $100,000.00 scholarship that she has received and likely not completed her swimming career in the USA. 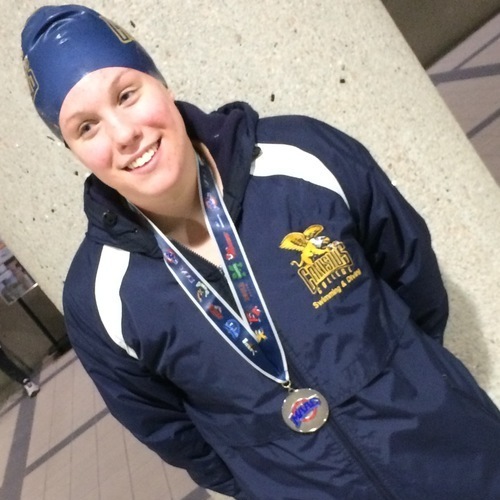 When Cassandra first advised us that her intention was to attend a USA College to swim (we reside in Canada) we were really unsure how to go about the process. My wife tried to complete the process on her own but never received any substantial contact from schools. It was very late in my daughters last year of high school when I made the decision to contact American College Connection. From the very first phone call held with Rick Paine I knew that Cassandra was in good hands and within days we had received phone calls and emails from schools across the US. Rick was very upfront and did not make any false promises regarding the recruiting process or amounts that our daughter could/would receive from the schools. Thanks to Rick Cassandra has just entered her third year at Canisus College which to date has been a very rewarding experience. I can honestly say that without the help of Rick and ACC I would not be where I am now. When I met Rick, I was a raw athlete from out-state Nebraska who had only been swimming for two years and had no clue how to go to the next level. With Rick’s help, coaches from all divisions of the NCAA were in contact with me and I eventually found my way on deck to a small, liberal arts school. There I became an All-American with invitations from an elite sprint group to train for the 2008 Trials. During my collegiate career I fell in love with the sport. 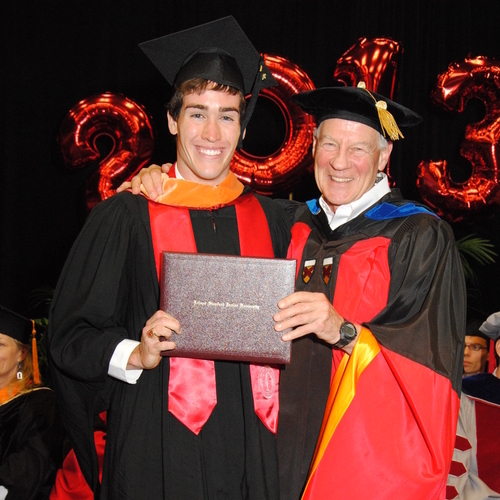 Currently I am pursuing my Ph.D. at Indiana University as part of the Counsilman Center for the Science of Swimming and through the years have coached multiple Senior National and Olympic Trial qualifying swimmers. None of this would have been possible without Rick and ACC’s help taking that next step. ACC helped me find a fantastic university to study and swim at UMBC! I had never even heard of this school before I started working with Rick, but it turned out to be the perfect fit for me. My experience there has had a profoundly positive and lasting influence on my life. I'll always treasure the time I spent attending school and swimming as a Retriever. I’m proud to say I’ll be a Retriever for life! Rick’s help in finding me a place at UMBC was invaluable. I sincerely appreciate everything ACC did for me!" Rick Paine of ACC provided clear & meaningful guidance as we maneuvered our way through the recruiting process. 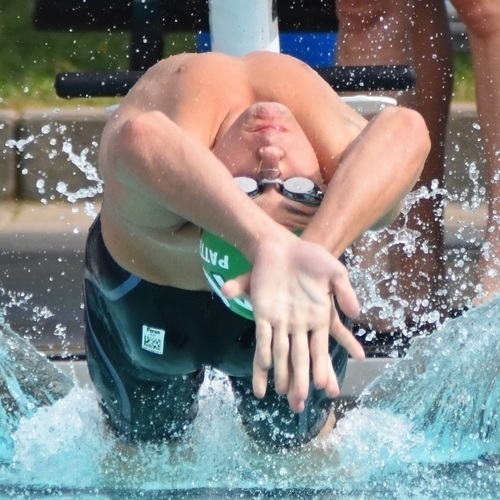 His guidance was instrumental in our daughter’s pursuit and ultimate decision to swim at a top D1 school. From the beginning, Rick provided valuable insight into the recruiting process, starting with tips on how to narrow the search and identify schools where our daughter would have the best college swimming experience. Rick did not discourage any of our daughter’s choices, but instead provided reasonable feedback and advice, allowing her to script her recruiting steps in a positive manner, and focus her attention on a handful of D1 schools. Our daughter recently made a verbal commitment to the University of Tennessee. Our family felt supported by Rick and ACC from start to finish! With all of your help, I've finally decided. I happily signed with Stanford this morning. It's always been my dream to be a Cardinal and now it's come true. However, it was hard choosing between there and Cal. I really liked the swim program at Cal. 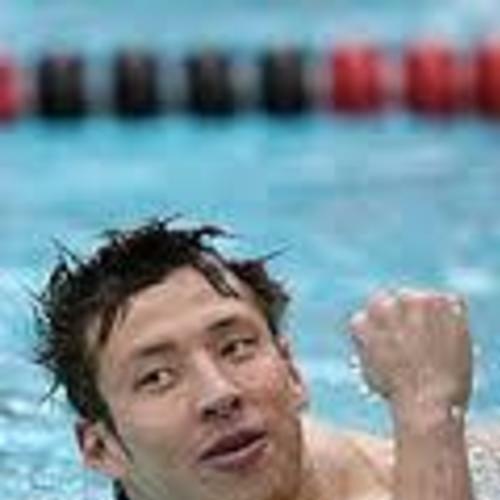 But I also realized that swimming is only one aspect of a well rounded college atmosphere. Thanks to you for getting me official visits to my top 5 schools: stanford, usc, berkeley, princeton, and harvard, I felt that stanford will be able to offer me the best combination of both academics and swimming. So with that said, thanks so much for all that you've done for me. None of this would have been possible with you and ACC. We sent out Karen’s profile and video to numerous colleges and did not receive any responses. With the help of ACC, Karen was contacted by more colleges than we knew what to do with, in all 55 schools from 28 states. It was a definite benefit having ACC put her profile and video in front of INTERESTED coaches, as none of this would have happened without their expertise.